The feature that makes a sit-on-top whitewater kayak an absolute winner is that you can fall off and easily climb back on because the kayak floats when it capsizes. For novices, the Usutu opens the door to whitewater kayaking. Learn how to take effective paddling strokes, master ferry angles and easily catch eddies with the confidence that you can attempt a roll or easily get back on if you capsize. Experienced paddlers benefit from improved confidence and the opportunity to try moves they would hesitate to attempt with a sit-in kayak. The Usutu has good speed in whitewater, it tracks on flatwater and it is super forgiving. The hull design is based on the Vubu hull, but with more stability added. It is a real whitewater hull that handles rocks well and can boof drops. The sculpted seat is beautifully shaped and comfortable. Thigh Straps keep you in place and give you greater control in rough water. If you do capsize, your knees can easily slip out from under the straps, or you can roll the boat back up if you have a decent roll. If you’re in the water, you’ll appreciate the strategically-placed handles that make it easy to grab the kayak and to get back on; they’re also useful to fetch swimmers when you paddle to their aid. 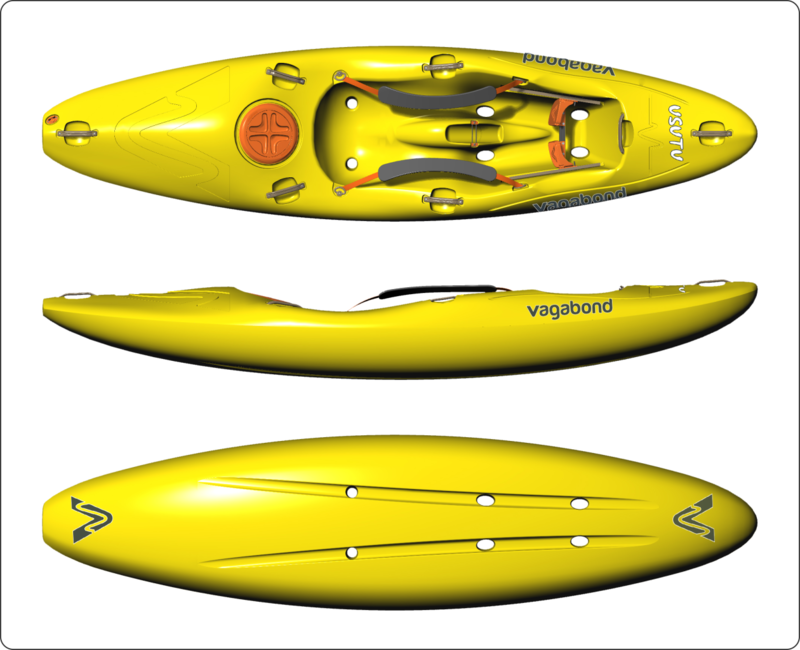 The big volume stern is both for buoyancy and storage space for multi-day whitewater trips. The Usutu is the perfect kayak for whitewater novices. In addition, it is also great for fair-weather paddlers, vacation-only paddlers, weekend warriors, river guides and rescue kayakers.